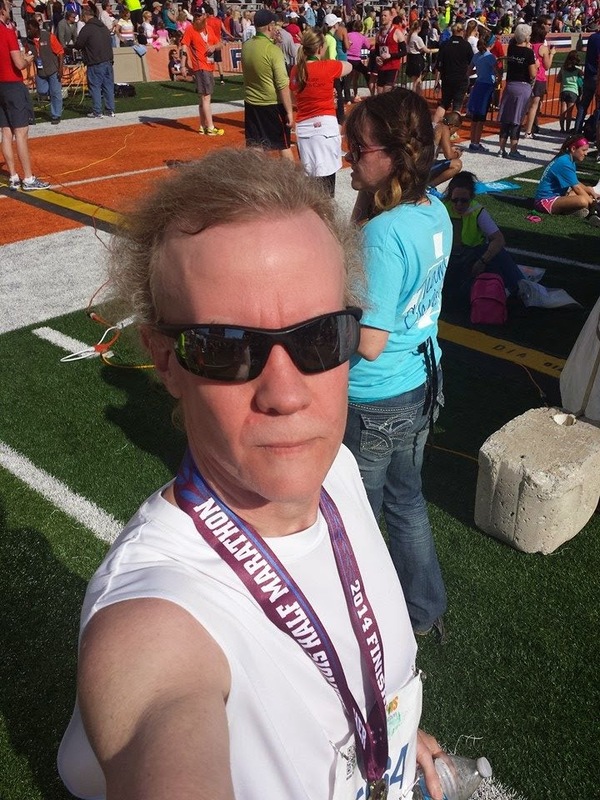 This past Saturday 26 April was the Illinois Marathon, and that day I ran my first official *half* marathon. My time was 1:52:03 for 13.1 miles. That works out to 8:33 per mile, or about 7.0 miles per hour. I was expecting 1:57, and hoping for 1:55. Had it been 9 days later (my birthday is coming up), I would have been 26th in my (older) age group. Interestingly, the results page continues to change, even today. On Saturday night I was listed in the overall at 948/5670. I have moved up 21 positions since then, while the total has dropped by 22 runners. The other placings have also changed a bit, including dropping from 50th to 54th in my age group. And my time improved by a second between Saturday morning and Saturday evening.